• Your online gallery with optional password where family and friends can also order prints if they wish. • A stunning designer Swarovski crystal USB flash drive with all your edited images with copyright release for you to print and a folder of smaller size images for fast upload to social media if you wish. • With additional Slideshow of your edited images set to music - on DVD in a beautiful contemporary metal case or as a file to keep if you prefer. • Additional hours needed or your wedding is a bit different? Just ask. We have a wide range of albums to choose from including classic contemporary albums, storybook albums and vintage style albums. There is a choice of album sizes, page numbers and album covers – leather and leather look / printed cover / acrylic / metallic ... pretty much endless choice range! Most have matching parent size and pocket size albums to match. 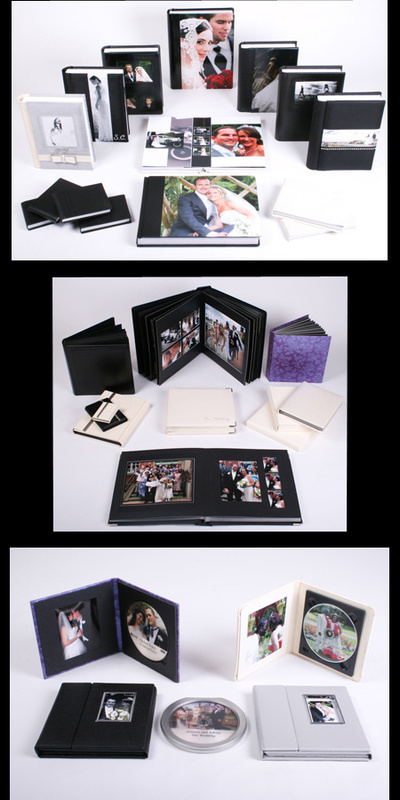 Prices start at £100 for a professional quality A4 storybook album with larger luxury albums around £300, depending on size and page numbers of course. Always best to look and see. If you’d like to choose an album when you book so you can budget what you’re spending then that’s fine. Or you can decide afterwards. Please call us on 01283 792664 / 07974827871 or contact us by email if you'd like to meet up to see what we can do for you or to check your date is free. * Mid-week and out of season discounts may be available. Please contact us to check before booking. * Please note that 'all your images' refers to all the images after editing at the professional discretion of the Studio. * Numbers of images captured at weddings can vary depending on numbers of guests, hours of coverage, location and conditions on your day.